The Odyssey of the Mind program in Northern Virginia has grown significantly. Therefore, starting in the 2011-2012 season, Regions 8 and 13 split to form Regions 9, 11, and 12. 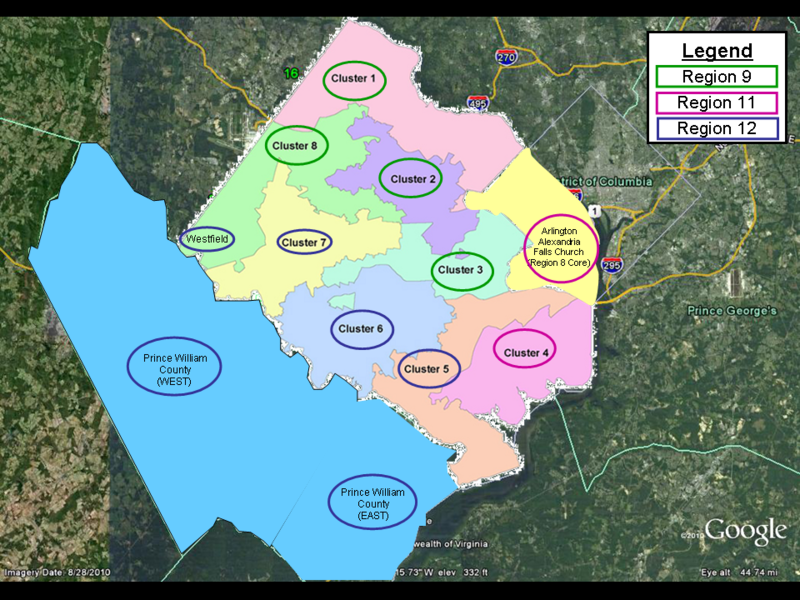 In Fairfax County, these regions are defined by the school system clusters and the high school feeder pyramids as summarized below. For home schools that are sponsored by an organization with a physical address, such as a church, the address of the sponsoring organization determines the region. For home schools that have no sponsoring organization with an address, the address that determines regional placement is the shipping address entered when registering for the CCI membership. This is typically the coordinator’s home address. For Arlington, Alexandria, City of Falls Church, Manassas City, Manassas Park, and Prince William County, all schools are assigned to either Region 11 or Region 12 as designated below. If you’re not sure, you can check our listing of Northern Virginia schools to determine which region you’re part of.